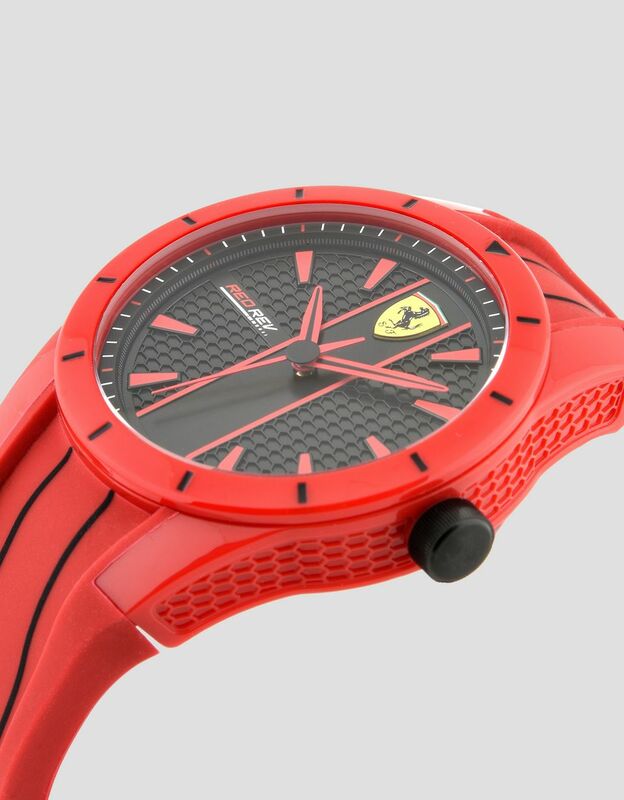 The audacious honeycomb structure distinguishing the RedRev wristwatch, with its contrasting strap, is inspired by the body of a racecar. 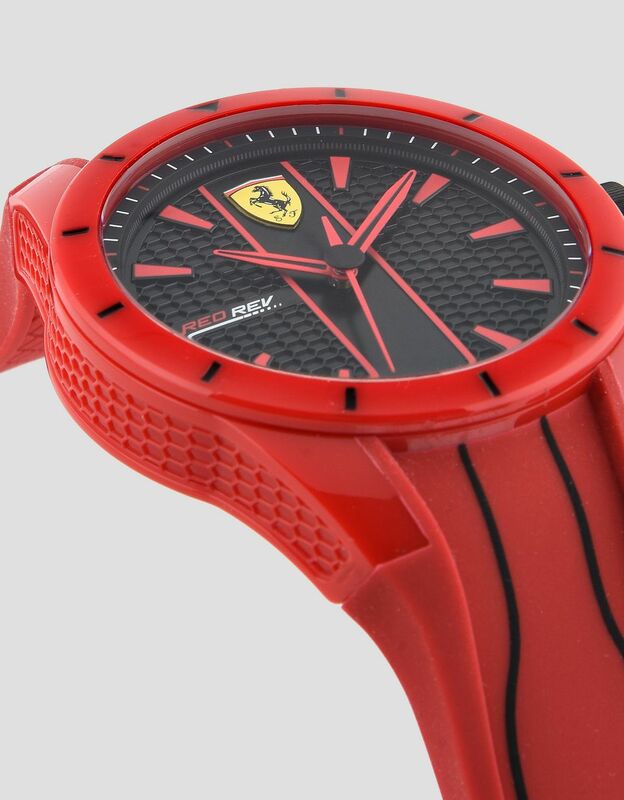 With its distinctive rounded case and finish that calls to mind the dashboard of a Ferrari, this new member of the RedRev family has the unmistakable face with honeycomb structure and the grooved silicone strap inspired by the front grill of a racecar. 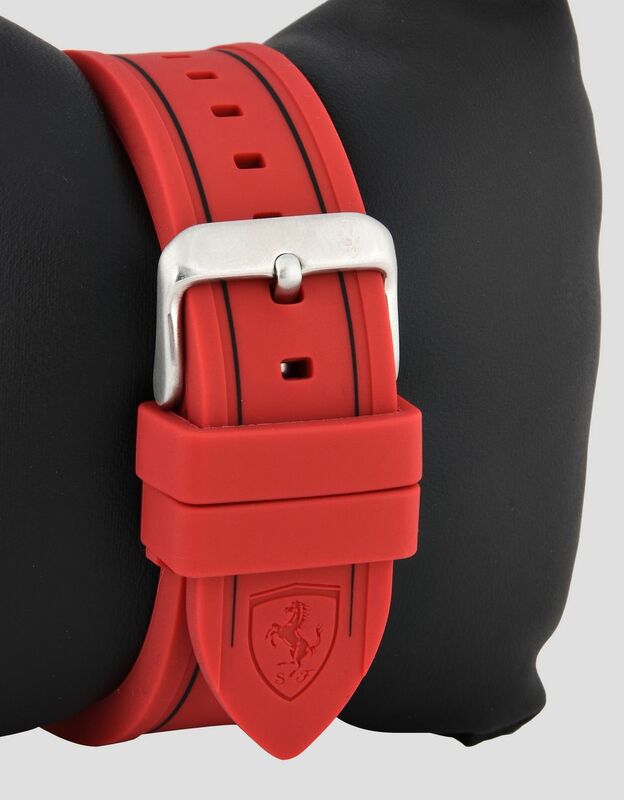 The resolute racing spirit of this accessory is accentuated by the strong color effects created by the strap and all the red details contrasting with the black face. 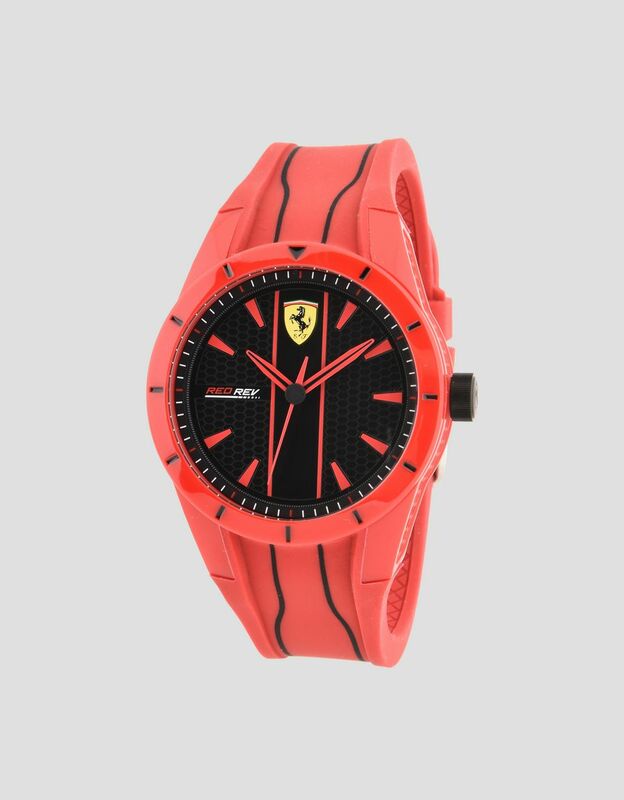 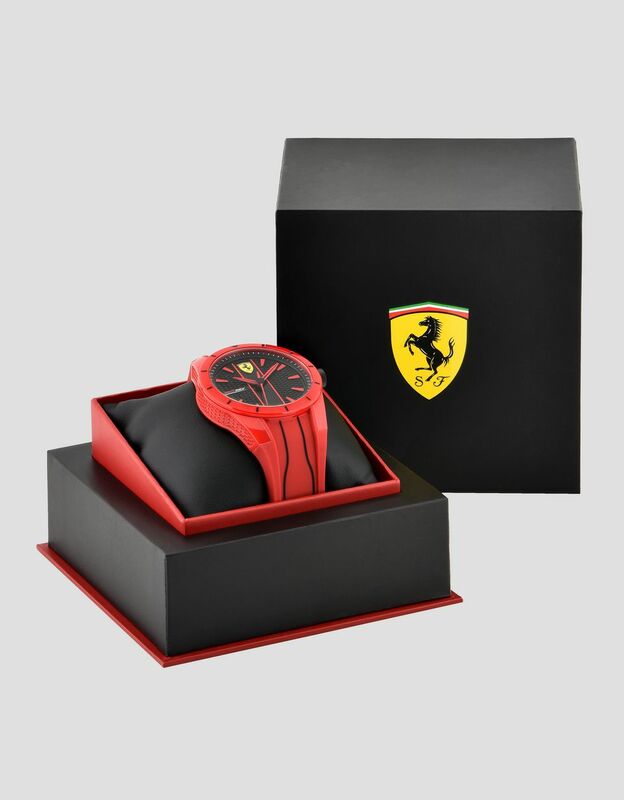 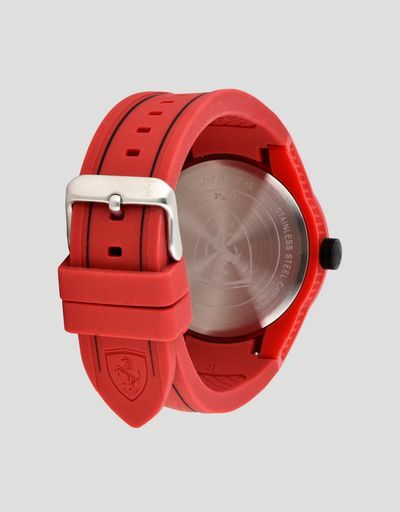 With the Ferrari Shield set at 12 o'clock, the new RedRev watch pays homage to the sports passion of Scuderia Ferrari fans and accessorizes all of their outfits with its incomparable grit.